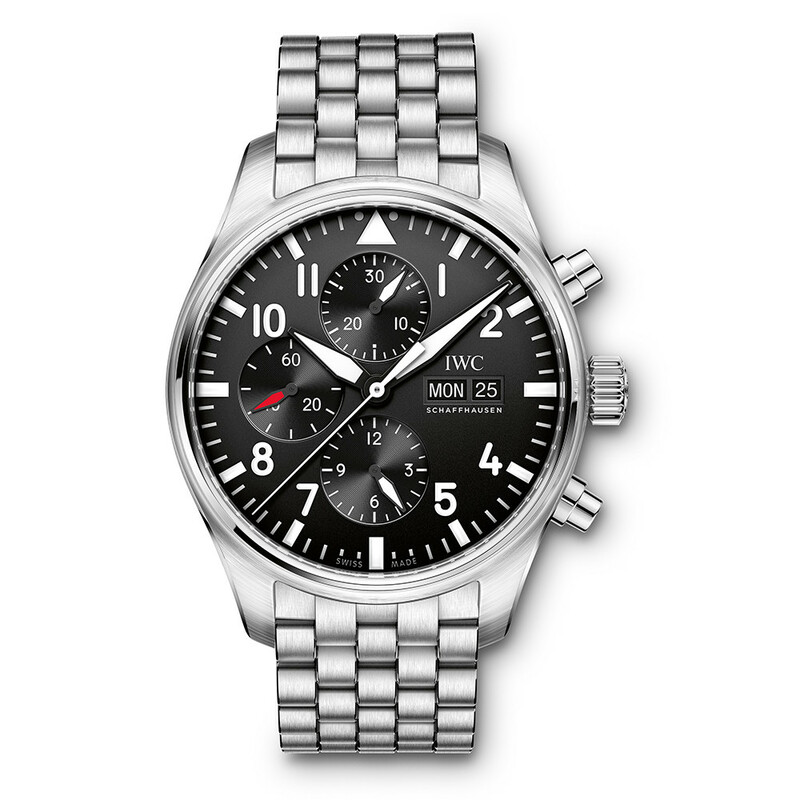 The IWC Pilot's Watch Chronograph TOP GUN (ref. 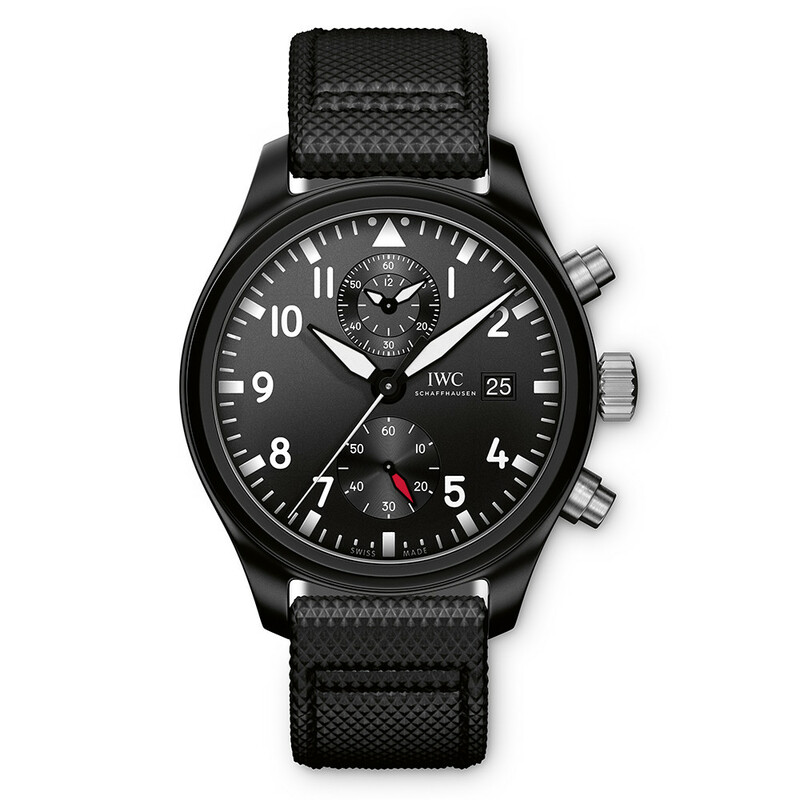 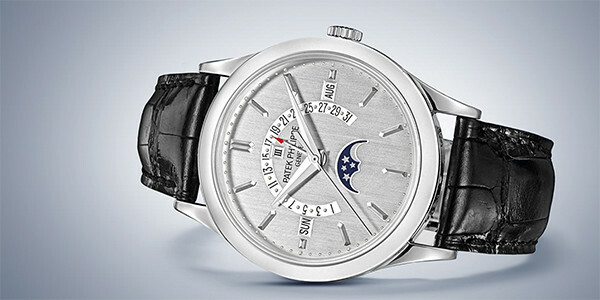 IW389001) features the IWC-manufactured caliber 89361 mechanical automatic movement with a 68-hour power reserve when fully wound; black dial; chronograph with flyback function, as well as hour & minute counters combined in a totalizer at 12 o’clock; date aperture at 3 o'clock; small seconds subdial at 6 o'clock; stainless steel case back engraved with the TOP GUN insignia; and 44mm, black ceramic case on an embossed black calfskin strap. 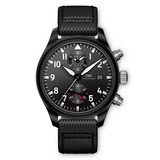 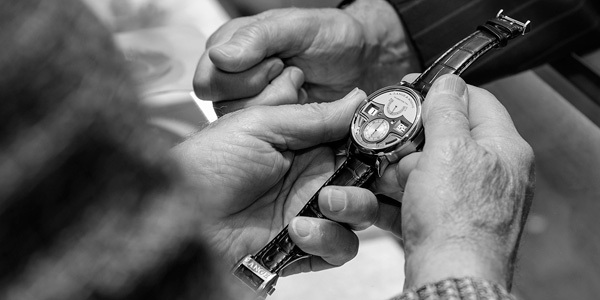 With their black cockpit design, attractive mix of materials and state-of-the-art watchmaking technology, the TOP GUN watches have made a name for themselves among aficionados of modern timepieces. 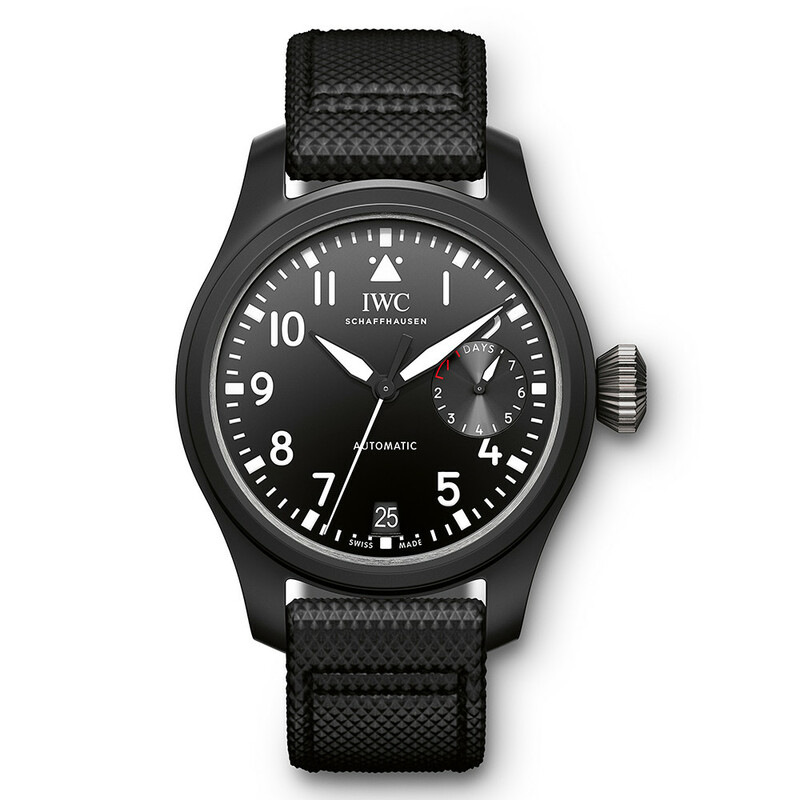 For the Pilot’s Watch Chronograph TOP GUN the triple date display was abandoned and the ceramic case reduced from 46 to 44 millimeters. 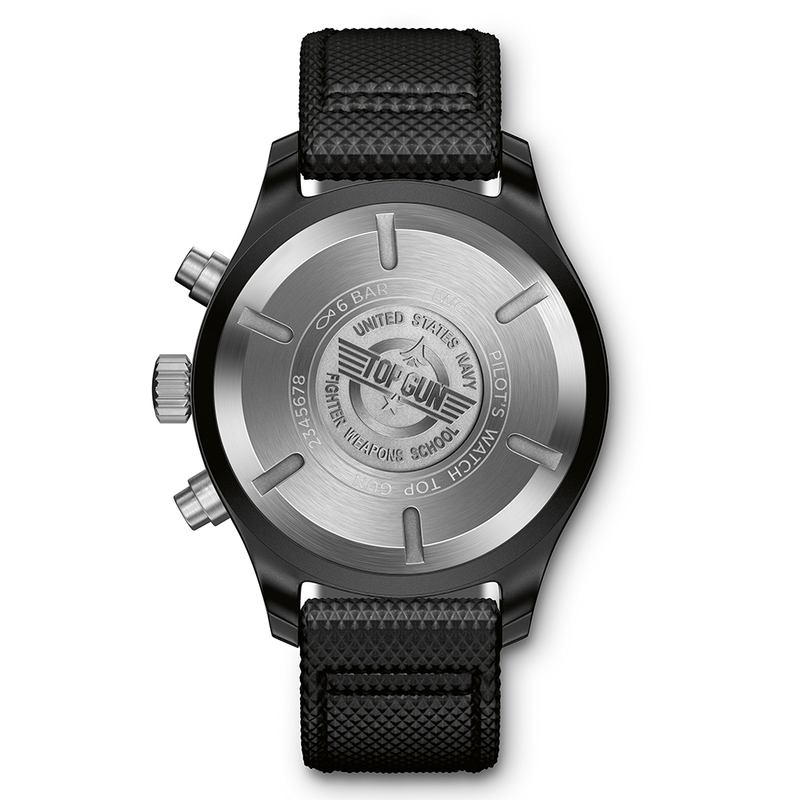 The watches now come with an embossed black calfskin strap.